Aggie Winston, is owner of Body Solve It Studio, which she opened in 2013 in Westlake Village, California. Her Pilates training began with her certification from Physical Mind Institute, New York, NY in 2001. After certifying she began developing individualized Pilates “fitness” training for clients of all ages. As she gained more experience, she expanded her practice working with patients recovering from injuries and surgery in the physical therapy setting. Soon after, she realized that she wanted to specialize in designing safe, restorative exercise programs that would offer proactive injury prevention and recovery training. While continuing her Pilates training to offer more in-depth, personalized programs, she began exploring additional methods that would go deeper into the body to access its healing power. After several years of anatomy study and delving deeper into the bodywork field to unlock the deep tissue called “fascia”, Aggie became a Yamuna Body Rolling® Practitioner in 2007. She continues to teach this revolutionary small ball therapy, developed by Yamuna Zake, to invigorate and enhance her students’ progress to make them see results fast! To pursue continuing education to incorporate the centuries old practice of Yoga into her training methods and philosophy, she completed the YogaWorks 200 hour teacher training in 2008. For specific programs that were important to special populations that might not be able to participate safely in either Pilates or Yoga due to fracture risk, she then became a Licensed Buff Bones® Instructor to offer an economical Pilates mat classes for anyone diagnosed with osteoporosis or osteopenia to exercise safely to improve their bone health. 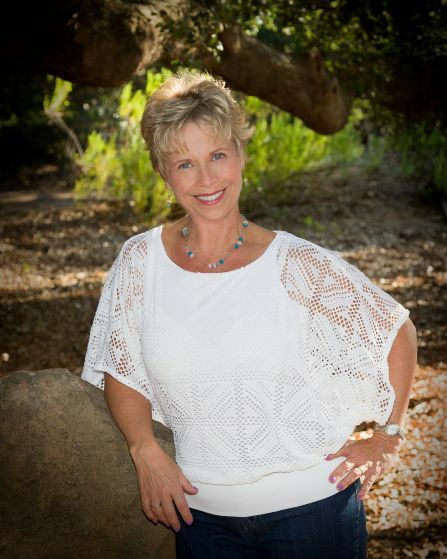 Aggie began teaching the Buff Bones® classes in 2015 and has seen the rewarding growth and popularity of this program with returning and new students expand year after year in the Conejo Valley. This program along with her work with Trent McEntire’s Neuromovement Training has taught her how to work with her clients’ autonomic nervous system so that their bodies better integrates movement to increase ease and efficiency resulting in pain reduction, better balance and posture.. Finally, after almost 2 decades of discovery, and the past year of her personal experience training with Scolio-Pilates for her own scoliosis, it has brought her great joy and changed her body inside and out for the better with the professional guidance of Michelle Ames, Authorized Scolio-Pilates Practitioner. Aggie is proud and excited to enter her new journey as a Scolio-Pilates Practitioner to use her experience and the special tools she has learned in the Scolio-Pilates Mentorship Program to offer Scolio-Pilates in the years ahead at Body Solve It Studio.